Editor’s note: We’re proud to highlight this health literacy project by Schweitzer Fellows Mustafa Abid and Ziyad Knio during the month of October, which is Health Literacy Month. It is one of a handful of health literacy projects currently being implemented by Fellows around the country. To improve access to care for the growing communities of resettled refugees and recent immigrants in Winston-Salem, Knio and North Carolina Fellow Mustafa Abid are conducting health literacy workshops that address topics like health maintenance, chronic disease management, health insurance, patient rights, prescription and non-prescription medication, and other issues determined by the needs of participants. They are implementing their project in collaboration with the YMCA of Northwest North Carolina which holds ESL classes at The Ledges Apartment community center and at the Annoor Islamic Center. The six-module workshop series uses discussion-driven dialogue to allow participants to define course content to match their needs and in the process facilitate their ownership of course outcomes. In response to participants’ questions, the Fellows found out where the refugees can go for eye exams with Medicaid coverage, where they can go for routine teeth cleaning and for more intensive dental procedures with Medicaid coverage or without any insurance at all, and whether NC Medicaid would cover a someone who is traveling out-of-state and needs medical care. To enhance this personalized approach, they work with the Care Teams at Wake Forest Baptist Hospital to ensure that clients do not miss any appointments and that they receive all the information they may need but are unable to ask for given the language barrier. 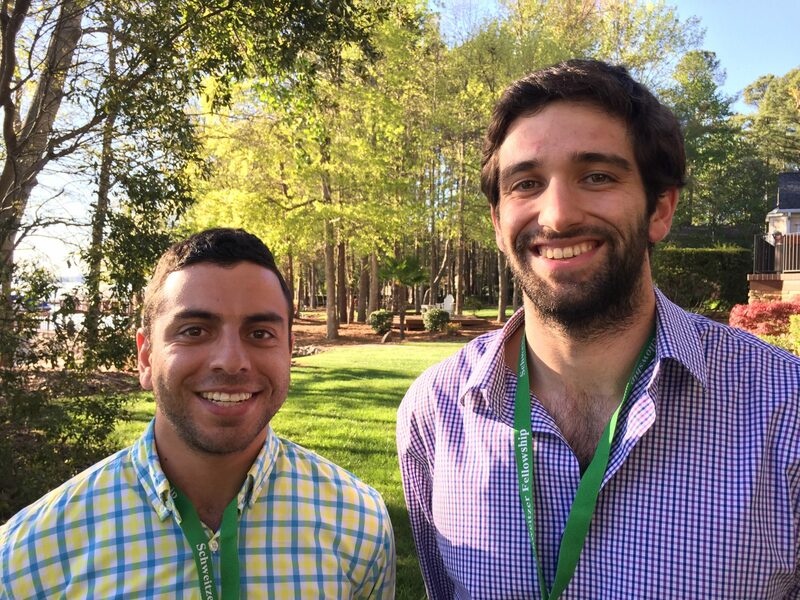 Abid and Knio, both students at Wake Forest School of Medicine and sons of immigrant parents, cite personal reasons for their interest in refugee health. As the son of immigrants from Iraq and Luxembourg, many of Abid’s Iraqi family members had left their home country seeking safety, political freedom, economic opportunities, or a combination thereof. Their experiences remind Abid of the challenges, both large and small, that relocation poses to everyday life. It is difficult to leave behind all that is familiar, and it can be overwhelming to have to learn to navigate completely new systems while also navigating these challenging readjustments to new settings. Personal and academic experiences with refugees have shaped his medical aspirations, directing them towards caring for displaced and disadvantaged populations. He spent a year in Jordan doing refugee-focused research and volunteer work as a Fulbright Fellow. As the son of Lebanese parents who immigrated to the U.S. in the mid-1980s, Knio was also familiar with some of the struggles that people new to this country face. In addition, his mother, who has interpreted for Johns Hopkins Medicine International, shared stories with him of the many difficulties some patients experienced. Aside from directly educating members of immigrant and refugee communities, Knio anticipates a “trickle-down” effect in which their participants will in turn help other newcomers make informed decisions about their medical care, thereby expanding the program’s reach to a greater swath of the communities than they could do on their own. The Fellows have already taught two iterations of the course, started home visits and attending medical appointments with participants, and are launching a third workshop series. Knio is pleasantly surprised by seeing clients unite and interact during classes, despite speaking different languages. Both Knio and Abid are grateful for the chance to work alongside and learn from their patient-centered academic mentors who are strong advocates for the refugee population, Dr. Julie Linton and Dr. Shahla Namak, as well as their community mentors, Julie Weber and Habib Bendaas. As part of their refugee service efforts, the Fellows are also helping run the Wake Students United for Immigrant Transitional Services clinic which helps immigrants attain citizenship. 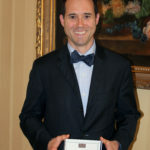 The clinic’s founder, Wake Forest School of Medicine alumnus Will Bradford (’17), encouraged their Schweitzer application and was a 2014 Schweitzer Fellow himself.